When Simon Ghanimian emigrated to the United States as a young man and set up his jewelry design company, he brought the refinement of Old-World traditions to the forward-looking exuberance of New-World experimentation, blending the best of both to create Simon G. Today, the Simon G brand is synonymous with elegance, creativity, and bridal jewelry that perfectly symbolizes the happiest time of two lovers’ lives. Each Simon G ring is monitored by 10 different quality checking stations, and its metals are even alloyed in-house to ensure that the rings adhere to Simon G standards. Because of this commitment to quality, BENARI JEWELERS is proud to offer Simon G wedding bands to our customers. One of the most interesting collections of Simon G wedding bands is the Passion collection, which is typified by its unique band shapes, featuring pieces that have fascinating angles, a shape like flag bunting, ribbon-like curves, and so on. For a woman who loves a playful look to her wedding band, this is the perfect collection for her. The Modern Enchantment collection tends to put quite a bit more emphasis on the fiery diamonds that Simon G selects, including invisible-set baguette-cut diamonds and horizontally-set emerald-cut diamonds. Traditionally, women’s wedding bands have been very dainty, petite pieces, and the Simon G wedding bands from the Delicate collection follow this tradition. Lacelike loops of platinum or 18k white gold are set with white diamonds whose inner fire offsets the minimalist charm of the bands in this collection. 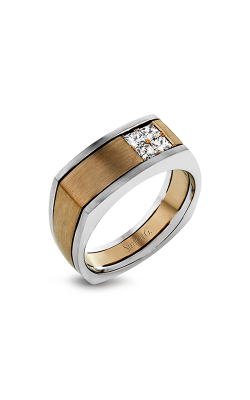 Also, don’t forget that Simon G also makes a collection of men’s wedding bands to pair with his bride’s. For men, Simon G has put together a very unique style that pairs two tones of gold, such as 18k yellow gold and white gold. Often, these beautiful bands pair two different textures too, making a sensory delight for years to come. 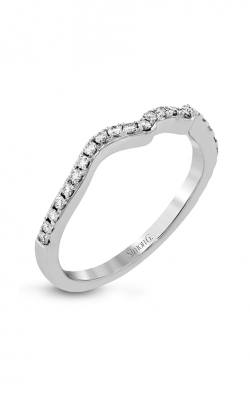 Why Shop for Simon G Wedding Bands at BENARI JEWELERS? BENARI JEWELERS has been a proud member of the Exton and Newtown Square, Pennsylvania communities for over 50 years, building a reputation that’s reached nearby Philadelphia, Bryn Mawr, and West Chester, among other towns. We bring our customers the finest collections of Simon G wedding bands, as well as wedding bands, engagement rings, and fashion jewelry from other designers that men and women love. Additionally, BENARI JEWELERS is a full-service jeweler, meaning that we offer our customers a variety of services that they’ll find useful in keeping their wedding bands radiant for decades to come. Stop by any of our showrooms today to find out more!